Cross-Country ‘XCO’ races are held over multiple laps of an undulating circuit and have evolved massively in recent years: Races are shorter and more intense, with power and technical skill now as important as fitness to be successful. Over the course of the series you should expect everything from blazing fast descents and elevated boardwalk, to technical singletrack and lung searing climbs, giving everyone the chance to shine. While XCO races are ‘mass start’, each category has it’s own start, with gridding based on series standings. Elite, Expert, Sport, Open and Fun are ‘ability’ categories. All other categories are based on age. To calculate your age category, it’s the current year minus your year of birth. e.g. 2019 – 2004 = 15. The category for a rider aged 15 would be Youth. Fun is for newcomers to MTB racing, wanting to experience XC racing and learn the ropes, and also those looking for a more chilled race. Open is the stepping stone between Fun and the other categories. Elite and Expert are only open to riders with a current British Cycling race licence that states Expert or Elite beside the MTB XC discipline. Please note that some races are held on private land. Don’t jeopardise the series by riding the trails at any time other than race day. A race licence is not compulsory, except for Elite and Expert categories, where your current British Cycling licence states Elite or Expert beside the discipline MTB XC. More info can be found here. How long is a lap? In line with UCI / BC regulations, lap length for XCO is limited to 6km and where possible will form a cloverleaf shape, giving spectators multiple viewing opportunities. Just as important is the target lap time for the leading riders allowing us to hit the optimum winning time, so the hilly course at High Bramley Wood will be shorter than the flatter lap at Cannock to ensure the lap times are the same. Do I have to compete at every round to be in with a chance of winning the series? No – best 3 results count. The series finale at Dudmaston Wood is the decider with series presentations taking place after the race. Each round of the Midlands Mtb series is organised by a different local club / team. If you’d like to give something back to the sport then get in touch! These races are for you – are run by riders like you – and can’t happen without you! 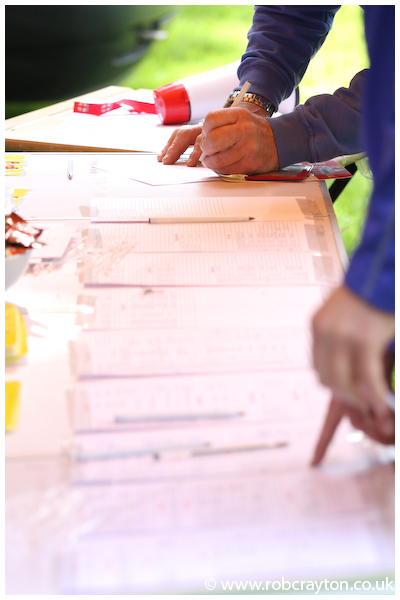 Give yourself enough time to sign on at registration and collect your number board. You can only pre-ride the course once your number board is attached to your bike and at the designated times (09.00-10.30, 12.00-13.00 and 14.00-15.00). Allow for faff time and remember you’ll need to bring your own water onto site. Someone always forgets their shoes/helmet/gloves, try to avoid it being you making that mistake… Shops in the arena will have most of the spares you’ll need to save the day in case it is! Will there be any camping available? This varies for each venue. Keep an eye on the news section for up to date info. Even if there’s no camping available at the venue there will be sites nearby. It’s my first time, what can I expect? Cross country mtb racing is about finding out who is the quickest from point A to point B. It’s about pushing yourself harder than you ever could in training, it’s about going faster than you ever could on your own and it’s about having fun! “You can’t win the race on your first lap, but you can lose it” Sage advice – try and save something for the last lap! You’ll start at the same time as everyone else in your category, so get warmed up and ready to go from 60 to 180 bpm in the blink of an eye as you sprint off into the distance. How long will my race last? Cross-country racing is about racing – it’s not a time trial. It’s about overtaking and being overtaken, trying to keep up with someone else’s pace and them with yours. It’s tactical – different people have different skill sets. Do you limit your losses on the climbs and make time gains on the downhills, or the other way round? As well as using your practise lap to work out what is the fastest line for you through any given section of trail, look for where you could go off the ‘racing line’ to overtake and decide where you’ll be able to ease up and swig a mouthful of drink. It is courteous to warn the rider in front if you’re going to pass them and on what side. The impetus is on you to do so safely – this is a non contact sport, treat others as you’d want them to treat you. Cross-Country Team Relay races see 4 riders (team composition to have minimum 1 female, maximum 1 Elite/Expert male) competing in relay, each doing 1 lap on the Under 12’s course before passing the baton onto the next rider. Do you start with your fastest rider, or save them for last? It’s all about tactics and working together as a team! Relay races are held at the Regional Champs and Series Finale.